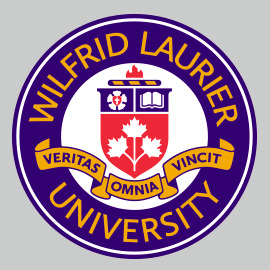 1.01 Wilfrid Laurier University recognizes that volunteers play a very important role in the University, enriching its services and contributing highly to its overall success. The University relies on volunteers to support its missions of excellence in learning, research, scholarship and creativity. Volunteers engage Laurier in the life of the communities we serve in powerful, mutually beneficial ways. 1.02 The University recognizes the need for balance among several factors; the desirability of volunteer service; the need to protect volunteer interests; and the need to minimize risk to the volunteer and the University. The University will not utilize volunteers to perform work that is normally performed by paid employees (e.g. unpaid internships). 2.01 Volunteer: individuals who willingly provide services or assistance to the University without payment of fees, wages or salary and without any expectation of any kind of compensation other than reimbursement for incurred expenses or, as may be applicable, a pre-approved honorarium. 2.02 Unit: department, faculty, or area that is retaining the volunteer. 2.03 Unit Manager: individual responsible for the unit’s volunteer program. 2.04 Volunteer Supervisor: individual responsible for supervising the volunteer. 3.00 This policy applies to all volunteers providing services for the University. Volunteers for the Alumni Association, WLUSU, WLUGSA and other separate organizations are not addressed in this policy. Individuals who volunteer as research subjects in approved research projects are not considered volunteers under this policy. Volunteers will be recruited by the unit as needed. The Unit will ensure an individual volunteer has the necessary experience, qualifications and training for the tasks to be performed. It is the responsibility of the unit to ensure Volunteers know their roles and responsibilities, as well as the time commitment required. All Volunteers must agree to abide by all applicable University policies and procedures. As appropriate, Volunteers in certain areas may be asked to complete screening procedures to ensure the Volunteer may safely perform the task, which may include a criminal records check. Volunteers who do not agree to this may be refused a volunteer assignment. Individuals who are still minors may volunteer at Laurier. Unit Managers in areas where volunteer activities are assigned to a minor must be aware of and address any additional obligations or responsibilities. It is recommended that Volunteers be provided with and acknowledge receipt of a document that includes: a description of the volunteer activity; specific terms or conditions for the volunteer assignment; accountabilities; any restrictions or requirements; and the name and contact information for the Volunteer Supervisor or person to contact if there are questions or concerns. These volunteer agreements are not required for staff who volunteer for convocation or many other special events. It is the responsibility of the Unit Manager to determine the nature and extent of the volunteer agreement required. Laurier supports a culture of service and values relationships and community. Volunteering is a way for employees to act as an ambassador for Laurier to both the internal and external community. Employee volunteer activities should involve work that is outside the scope of normal responsibilities and be undertaken freely and willingly by the employee. It is the responsibility of the Unit to ensure all volunteers have proper training applicable to their duties, including health and safety, accessibility, and privacy when applicable. It is the responsibility of the Unit Manager to ensure all volunteers have a clearly identified person to contact if they have questions or concerns. It is recommended that the Unit Manager name a Volunteer Supervisor to be available to the volunteer for consultation and assistance and who can assess and review the performance of the volunteer, where applicable (e.g. Community Service Learning, Co-curricular Record). Volunteers are responsible for maintaining the confidentiality of all personal or sensitive information to which they have access while serving as a volunteer. Failure to maintain confidentiality may result in termination of the Volunteer’s relationship with the University. The completion of a confidentiality agreement may be required prior to volunteering. A conflict of interest exists when a volunteer’s interests, whether personal or financial, interfere, or may be seen to interfere, with their role as a University volunteer and the performance of their volunteer responsibilities for Laurier. Volunteers should avoid actual or perceived influence of personal or financial considerations or relationships in their role as a volunteer and should undertake their role objectively and without direct or indirect benefit. If a University volunteer believes he/she may have a conflict of interest, or has questions about whether a duty or role assigned to them may result in a conflict of interest, they should notify their supervisor or Unit Manager immediately for consultation and advice. Both the University and the Volunteer shall have the right to terminate the volunteer relationship at any time, without notice. Unit managers are encouraged to undertake on-going methods of recognition of volunteer service on a regular basis throughout the year. These methods of informal recognition should range from a simple ‘Thank You’ to a concerted effort to include volunteers in program feedback and evaluation. Reimburse volunteers for actual and reasonable expenses as agreed upon in advance, and in accordance with the Business Expenses Policy (see Policy 5.1 Business Expenses and the Expense Reimbursement Handbook).